The Boy Scouts of America voted to end its ban on gay Scouts, which is a huge victory for gay youth. But gay Scout leaders – like former den leader Jennifer Tyrrell – are still banned from Scouting. It's time to keep up the pressure! GLAAD needs your help to make sure gay parents and adults are also able to participate. Sign the petition: The Boy Scouts of America will allow gay Scouts! Now it's time to include gay parents. The Boy Scouts have voted to include gay youth! 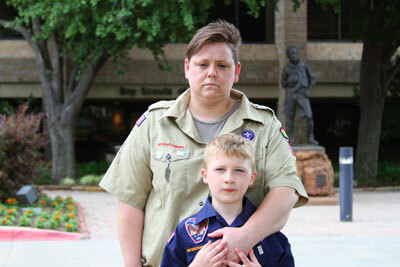 Now, tell the Boy Scouts it's time to include gay parents too. You helped bring equality for gay youth to the Boy Scouts. 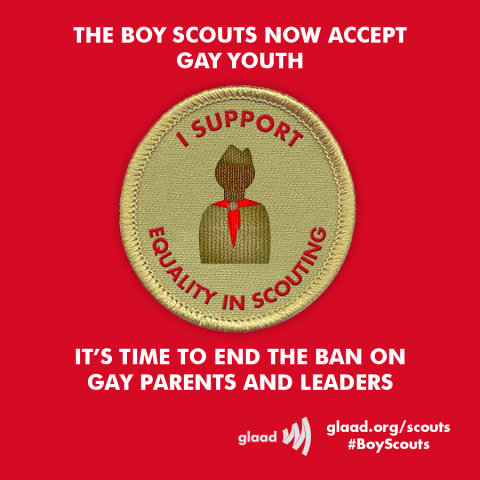 Now, stand with GLAAD and Scouts for Equality by pledging to help end the Boy Scouts' discriminatory ban on gay parents and leaders. Stay up to date on the latest news about the Boy Scouts by following GLAAD's blog. Since April 2012, GLAAD has been leading the national campaign urging the Boy Scouts of America (BSA) to end its ban on gay Scouts and adult leaders. See milestones from this campaign and learn more.